___________________ [[ _ ::OUT NOW! :: _ ]]----------------------- __ PLOST002 __ DYL - Sonder LP ___ Eutyphro Dilemma (w/ AURA JAE) // Principle Of Alternate Possibilities // Laws Of Nature // Qualia // Illusion // Outro (w/ AURA JAE) // Infinitemente (w/ BRUNO SANCHEZ – Digital Exclusive) **vinyl** **digital** ___________________ [[ _ ::OUT NOW!! :: _ ]]----------------------- __ PL041 __ ZYCH - Hidden See EP ___ Hidde // Fischkalender // Fischkalender (Instrumental) **digital** https://soundcloud.com/paradiselostrec/sets/pl041-zych-hidden-see-ep __ PL040 __ OWL - Hidden Universe EP ___ Interstellar Void // Alternative Solar System // Presolar Grains // Wormhole (w/ CLEARLIGHT) // Distant Life Form // C05M05 (w/ CLEARLIGHT) **digital** https://soundcloud.com/paradiselostrec/sets/pl040-owl-hidden-universe-ep __ PL035 __ THE NEXT - Deep Blue EP ___ Deep Blue // Walk In The Deep // Youngblood // Youngblood - ILL_K Remix // Black Purple // Black Purple - RAKOON Wonky Mix **digital** https://soundcloud.com/paradiselostrec/sets/pl035-the-next-deep-blue-ep __ PL038 __ BISWEED - Steampunk Vol.2 ___ Aurora Borealis // Perfect Knowledge // Magnetic Field VIP // Impedance **Blue Transparent 12" Vinyl incl. Full Artwork Poster and Free Download of Regular + Premium 24bit Versions** **digital** https://soundcloud.com/paradiselostrec/sets/pl038-bisweed-steampunk-vol2 __ PL039 __ RAKOON - Hidden Agenda EP ___ Hidden Agenda // Phantom // Silicon Valley // Are You Listening // Why Do You Haunt Me // The Moment She Looks Away **digital** https://soundcloud.com/paradiselostrec/sets/pl039-rakoon-hidden-agenda-ep __ PL037 __ BISWEED - Steampunk Vol.1 --- Astrofunk // Airship // Burn // Disable // The Perpetual Motion Machine (w/ SUBREACHERS) **digital** https://soundcloud.com/paradiselostrec/sets/pl037-bisweed-steampunk-vol-1 __ PL036 __THE LAST HERO - Electron EP --- Cubism // Salvo // Electron (w/ KOBRA) // Electron (w/ KOBRA) - INK Remix // Slenderman // The Purge **digital** https://soundcloud.com/paradiselostrec/sets/pl036-the-last-hero-electron-ep __ PL034 __RAKOON - Sandworm EP --- Sleeping Giants // Guard // Sandworm // Filter // Safir // Meltdown **digital** https://soundcloud.com/paradiselostrec/sets/pl034-rakoon-sandworm-ep and many more... FREE DOWNLOADS from Bisweed, TKR, Droid Sector, Vesicle, and more: -- grab now!! : https://soundcloud.com/paradiselostrec/sets/plfxxx-paradise-lost-freebies ___________________ [[ _ ::PODCAST:: _ ]]------------------------- https://soundcloud.com/paradiselostrec/sets/pl-podcasts __ PLCAST004 __ PARADISE LOST PODCAST 004 - DEEP ROOTED VOL.2 PROMOMIX by ROBOTIC __ PLCAST003 __ PARADISE LOST PODCAST 003 - TALES FROM OUR CRYPT Vol.1 mixed by THE SUBDIVISION __ PLCAST002 __ PARADISE LOST PODCAST 002 - mixed by TWISTED __ PLCAST001 __ PARADISE LOST PODCAST 001 - DEEP ROOTED PROMOMIX by ROBOTIC ____________________ [[ _ ::ABOUT P.L. 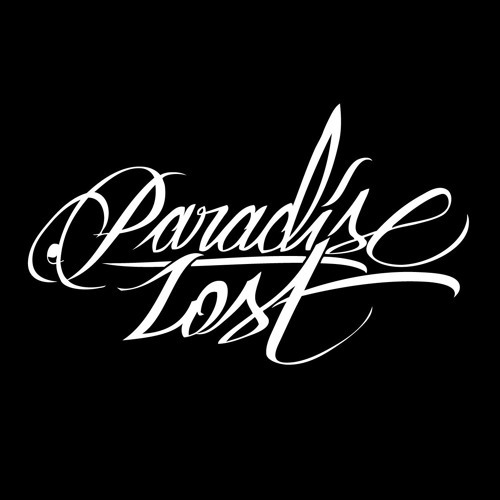 :: _ ]]------------------------ Paradise Lost Recordings was started in 2008. We release quality electronic music, including drumnbass, dubstep, techno and ambient styles by a variety of both established and new artists. The label is run by Moody G (https://soundcloud.com/the-subdivision) and https://soundcloud.com/rob-robotic. Artwork has been contributed by Seth https://soundcloud.com/grym and Jaakko Kärnä among others. Our 12" vinyl releases can be found at shops like Chemical Records, RedEye Records, Boomkat, Juno Records, Deejay.de among others that stock quality vinyl music. All our releases can be found in digital format at Digital-Tunes.net, Beatport, iTunes, JunoDownload, and many shops. We are proud to team with The Netherland’s Triplevision for distribution.